ESL, the world’s largest, independent eSports brand, is proud to announce their next groundbreaking Dota 2 tournament will be held in The Theater at Madison Square Garden October 9-10, serving as the crown jewel of interactive entertainment for ReedPOP’s inaugural New York Super Week. As the largest in-person competitive gaming event ever held on the East Coast, thousands of video game enthusiasts will watch the top eSports teams in the world compete in the finals of a global Dota 2 tournament. In partnership with Twitch, the world’s leading online video platform and community for gamers, the event will be live broadcast on ESL’s Twitch channel. In addition, joinDOTA will once again join the team as ESL’s coverage partner, providing on-air talent for the show. Combining the world’s most passionate fans with the innovators of the eSports industry, ESL, Twitch and ReedPOP will present the largest eSports event ever in New York City – and a cornerstone of New York Super Week, a 10 day long festival with over 60 nerdy, geeky, cool pop culture events across all five boroughs of NYC in the lead up to this year’s New York Comic Con! This prestigious event will feature eight of the top Dota 2 teams in a battle for $100,000. Details about the roster and information about invitees and qualification will be released in the coming weeks. By staging this event at the iconic Madison Square Garden, we’re going to see history in the making,” said James Lampkin, Product Manager for ESL One. “ReedPOP, Twitch and ESL are coming together to create something special that New York City has never seen before. Twitch has worked with ESL since 2011. Since that time, enthusiasts from over 180 countries have tuned in to watch ESL’s content on Twitch. Twitch recorded a peak of over 280,000 concurrent viewers on a single stream during IEM Cologne in 2013. This was broken only a few months later during the IEM Katowice 2014, when the concurrent viewership in the Western world peaked at 643,000 across all games at the event. eSports are not only rivaling traditional sporting events, they’re eclipsing them, especially when it comes to the live online viewership numbers on Twitch,” said Kevin Lin, COO, Twitch. “In partnership with ReedPOP and ESL, we’re bringing to the US more of what the audience wants – big events at historical venues. 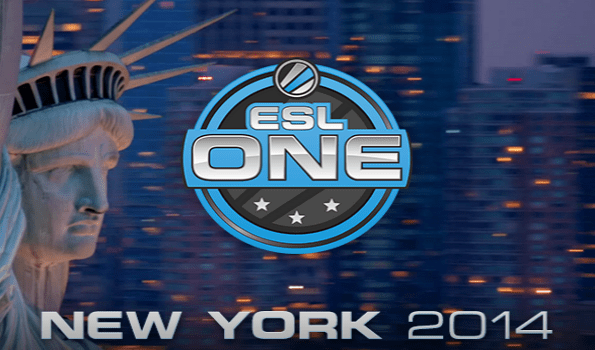 This ESL One milestone-setting Madison Square Garden event is testament to the future of the eSports industry.